Not a practitioner? How to buy. The acetyl derivative of L-carnitine. Acetyl-L-carnitine is involved in the metabolism of protein, carbohydrates and fats, as well as the conversion of fats into energy. 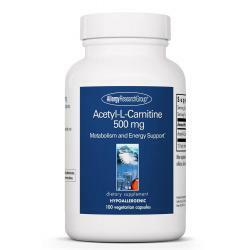 * Acetyl-L-carnitine crosses the blood brain barrier more readily than L-carnitine. It has antioxidant properties, and supports glutathione and CoQ10 levels. * Free form amino acid, high purity, well tolerated. *This statement has not been evaluated by the U.S. Food and Drug administration. The product is not intended to diagnose, treat, cure, or prevent any disease. Other ingredients: Hydroxypropyl methylcellulose, microcrystalline cellulose, L-leucine. 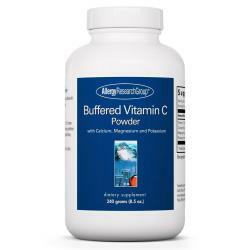 Suggested Use: As a dietary supplement, 1 or 2 capsules two or three times daily, or as directed by a health practitioner. Keep in a cool, dry place, tightly capped. Allergy Research Group® creates high quality products using scientific evidence-based research, with a focus on hypoallergenic supplements to act as a resource for doctors to improve patients' quality of life. and not a guide to diagnosis or treatment of a particular disorder or its symptoms.